Brian McGahen was born in Enfield, Sydney, on 3 March 1952, son of Patrick McGahen (d.1963), a Burwood barber, and his wife Monica. He died surrounded by friends at his Elizabeth Bay home on 2 April 1990, aged 38, having first organised the time of his death and his own Memorial Service at Sydney Town Hall for April 11 1990. Brian McGahen was educated at De La Salle College at Ashfield and the University of Sydney where he gained a degree in Social Work. He worked extensively in government and non-government welfare planning and evaluation. At 17 he joined the Communist Party, defied the Vietnam draft and was jailed for sedition. He was involved in many left wing causes and organisations. McGahen was an openly gay activist and a leading member of the Communist Party who was involved in welfare and homosexual issues. He was director of the first Gay Mardi Gras and became president of the Gay and Lesbian Mardi Gras Association from 1981 to 1985, helping to transform the event into one of Australia’s major public parades. He was an active campaigner for social justice and liberty for all oppressed people. 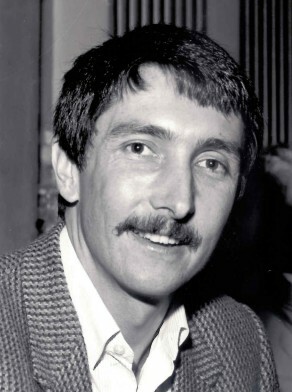 Brian McGahen was Alderman for Flinders Ward, 14 April 1984 until 26 March 1987 when the Council was dismissed and replaced by City Commissioners. He was a member of the Communist Party when he was elected to the Council. He was a member of the Community Services Committee, 1984-87 and its chairman in 1984, the Health Committee, the Sydney Committee and the Cultural Committee in 1984. Between 1985 and 1987 he was a member of the Finance, Industrial Relations, Budget Management and Equal Opportunity Committee, and belonged to the Health and Environment Committee, 1986-87. With fellow Alderman Jack Mundey, Brian McGahen was a member of the Communist Party and served as an Independent. City of Sydney Archives: Aldermen’s Files; Photo: CRS 191/71, 191/79 and AF.